Providing both aesthetic and security benefits to your property, the importance of a quality, reliable, and stylish garage door can’t be underestimated. 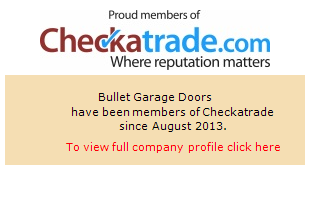 We understand that here at Bullet Garage Doors, and so our standard of service ensures that all of these qualities are taken care of. As we’re based in Dunstable, we’re conveniently located for our customers in Welwyn Garden City. With any service, it’s important to have a local port of call, and a garage doors service is no different. At under 20 miles away we’re hardly difficult to reach. Obviously we’re on the other end of the phone, too, but sometimes it can be better to meet a company face-to-face. Should we need to come back out and see you at any point, that’s also extremely convenient. With extensive experience and a wide range of garage doors within our collection, we are extremely confident that we can find the perfect model to suit your property, regardless of its age or style. From modern GRP styles to traditional wooden designs, the options you have available are extensive. We can also add automatic opening mechanisms to existing products; whatever you require, our team are more than happy to help. We are also able to undertake garage door repairs to ensure that the contents of your garage are safe and secure. Our fully-trained staff and fitters are on hand to advise and answer questions on any damage to your garage door. With our garage door repairs service we can come out and visit your property at a convenient time for you and make sure that everything is secure for your peace of mind. Why take our word for it though? We’ve got a range of testimonials elsewhere on our website, and you can view our Checkatrade profile to help gauge our reputation, too. So whether you require help choosing a new garage door or are looking for help choosing a new garage door or are looking for help to repair an existing one in the Welwyn Garden City area, then we would love to hear from you. Why not give us a call today, on 01707 594 035 and find out how we can assist you? Alternatively, you can fill out one of our online contact forms and we’ll get back to you as soon as possible. Fitted two made to measure cedar timber doors. Matching timber frames and electric motors with two remote controls, internal push button, timed courtesy light and auto reverse on touch.